By Keith Cowing on May 9, 2016 6:36 PM. Keith's note: NASA wants you to think that everything they do in low Earth orbit these days has some sort of business potential. Alas, while that may be true, NASA is the least likely place to go if you want to find out what they are actually doing. 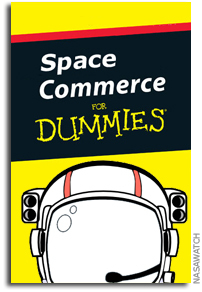 In fact, most of the people dealing with commerce at NASA have no idea what commerce is. There is another report listed at the page link tweeted by @NASA_OSBP that looks to have been published in 2015 "NASA Deep Space Human Exploration Spacecraft Orion: A Case for Small Business". This report is structured in a nearly identical fashion to the SLS report complete with an alphabetical listing of all of the small businesses. But other than that there's little to explain how or why this is important to the business health of the national economy or to local communities. NASA just wants you to see that they are giving money to lots of small companies that you've never heard of. Shortly after I responded to the initial @NASA_OSBP tweet I also sent an email to Glenn Delgado, the Associate Administrator for NASA's Office of Small Business Programs (OSBP) at NASA Headquarters with a cc: to HEOMD (builder of the SLS) and NASA PAO. I told Delgado "I found this tweet to be very interesting. Can you provide me with a list of the specific 800+ small business companies that are contributing to SLS, where they are located, and what their products/services are in relation to SLS? People often do not appreciate just how pervasive NASA programs are in terms of procurement. 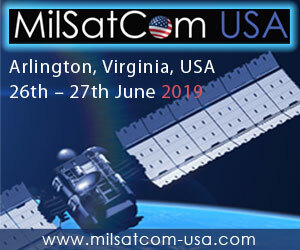 Moreover it is often not appreciated how deeply these programs can reach into small communities a great distance from the cities/states where space activities are usually associated." Keith's update: I got this response from Delgado after this article went online: "Please send me a street mailing address and I will send you a few copies of the booklet that list the companies that worked on the SLS program. There are 20 companies that are highlighted by the large prime contractors and 885 other small business that are listed starting on page 61 of the booklet citing the large prime contractor's they do subcontracting work for. These company names were provided to NASA by the large prime contractors and we do not have the detailed information on each of them since NASA doesn't have direct contracts with these firms. 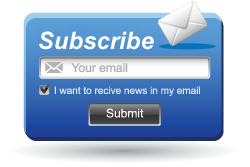 That specific information would have to be generated by the large prime contractor." Why Are SLS and Orion Important To The Economy? One thing that is oddly lacking from these two reports is the overall "why" of the business side of the SLS or Orion programs. Why is business even important if the whole #JourneyToMars meme is what is driving the program? Other than presenting the standard things that any government agency has to present annual with regard to meeting certain thresholds of utilizing various forms of small businesses, these documents are devoid of any discussion of NASA's broader interest in space commercialization. In other words SLS and Orion are just several more big NASA projects that use companies who have subcontractors and here's the list of those contractors. Why is this odd? Well stop and think about the things that NASA has been pushing these past few years: commercial cargo and commercial crew. Charlie Bolden just loves to talk about all that commercial goodness. There are lots of small business involved in those efforts as well - many of them are probably involved with SLS - and other NASA programs - as well. 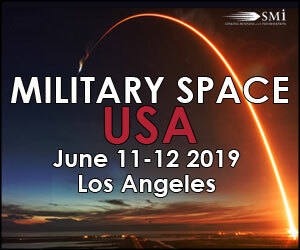 If the agency is indeed making a large pivot in the way that it does things in space (per Bolden's cheerleading), one would think that there is a broader, agency-wide policy - one with a strategic plan that covers all of the agency's procurements so as to make certain that this policy is being implemented equally and effectively. And if this policy/strategy is what's behind the whole space commerce thing, then bring it on - right? Well, we know that is not happening. 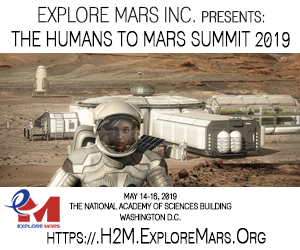 But wait: there's more: if you listen to NASA HEOMD Associate Administrator Bill Gerstenmaier and ISS Program Manager Sam Scimemi, they are all about commercializing the International Space Station and low Earth Orbit transportation such that NASA can turn its attention (i.e. funding) away from ISS to support cis-lunar and eventually humans-to-Mars programs. Indeed, its the secret sauce they need to make all of the budget numbers work. They have said repeatedly that the successful commercialization of the U.S. segment of the ISS is crucial to the move toward exploration and, according to Gertstenmaier's presentation to the NASA Advisory Council, were this not to be accomplished then NASA would have to reconsider its plans. Of course, who is in the driver's seat when it comes to commercializing the U.S. portion of the ISS? CASIS, of course. They are crowing about their business smarts and accomplishments 24/7/365. Yet look at their progress and it all comes from spending NASA money (with substantial additional overhead) upon which CASIS is dependent for 99.96% of its budget. Private sector investment in CASIS has been minimal - at best. If this initial foray into promoting ISS commercialization is such a subsidized flop, how can NASA expect that a fully commercial ISS will ever be possible? Answer: they just say so in their Powerpoint slides often enough and people accept it. Again, the basic plan is that SLS and Orion need NASA funding that will, in great part, be freed up by a commercialized ISS (thanks CASIS!) and private sector transportation in low Earth orbit. The basic meme seems to be that the private sector will pay to operate ISS and will buy seats to/from Earth such that tax dollars are no longer needed to pay for this. For the most part, these ISS and transportation activities will be conducted by the very same companies that are building SLS and Orion. Hmmm ... that's interesting. The substance that the companies behind SLS and Orion use to keep people employed is identical to what they would theoretically use to operate ISS and routine crew and cargo transport: money. The money either comes from NASA or it doesn't but the financial health of these companies is all running on the same fuel. And whatever money NASA does not have to spend on one thing, it supposedly can spend on another. But this is an ecosystem - one that seems to want to expand off-world - where government money, money earned from government recycled back into other areas, and money from outside the NASA/contractor honey pot all gets mixed together. If one thing can feed another and spur interest amongst investors while others derive profit for the risks they took with their own money, well, that's how actual commerce establishes itself. Given this movement of money in - and out - of things - and how it enables all of those cartoons on their Powerpoint slides, would think that NASA would want to be talking about this. They ought to be chomping at the bit to talk - not just about the small business case for SLS and Orion, but rather, the total business case for SLS, Orion - and ISS, commercial crew, and cargo transport, and payloads that it sends elsewhere - and do so in one global, coordinated business-savvy fashion. you know, as if they actually sat down and thought about this and had some sort of plan. As I noted before NASA has not really told anyone about these SLS and Orion small business reports. For that matter, neither have the so-called "4 Amigos" (Boeing, Lockheed Martin, Aerojet Rocketdyne, and Orbital ATK) who are the prime contractors behind SLS/Orion. Neither has their yet-to-be formally finalized pro-SLS/Orion lobby group the Coalition for Deep Space Exploration. Nor has AIA (Aerospace Industries Association), AIAA (American Institute of Aeronautics and Astronautics), CSF (Commercial Spaceflight Federation) and other aerospace industry trade and advocacy groups. One could question why NASA needs to have so many subcontractors on Orion or SLS. The answer should be obvious: that is how aerospace companies - many large companies - operate. Smaller companies make increasingly specialized things that it makes no sense for a large company to develop given the low volume of [arts needed. SpaceX decided to take a different route - but that's their decision - and it does not refute standard subcontractor process used in big aerospace. But there is one more calculating aspect to the use of all of these contractors spread across the U.S.: they are spread across the U.S.
By making sure that you have commercial contracts in every congressional district you give members of commerce a reason to want to keep your large program going. You also have a built-in lobbying force (the companies, local and state officials) to pressure members of Congress when the need arises. I have seen recent charts (and some from the 1980s) that large aerospace companies maintain that go into great detail about how much money flows into every congressional district, links to political donations, etc. NASA does this too (minus the political donation part). So do the large aerospace industry associations like AIAA and AIA. The all have this information at their fingertips so as to be ready to use if a certain member of Congress is going to be approached on something. NASA knows where the money is going. But they won't tell the rest of us. What they do not have is a clear strategy that outlines where all programs from all directorates and field centers send all of their money. Nor do they have a plan that leverages the inherent syngergies that such a national "market" offers an agency that wants to get strategic in its commercialization efforts. And if NASA tells you that they do not have this information, you need to be very skeptical of that. One part of NASA may not but others do. But lets assume that NASA does not track its disbursements such that they can tell where (in America) their money goes. Given the claims that the agency makes about being interested in spinoffs, economic growth, etc. you'd have to ask them why such an ongoing analysis is NOT being done. How does NASA know what impact it truly has? Answer: they don't. They never have. Running a commercially-oriented space station and going to Mars over the next several decades means a lot of money for business, right? This potential business wherein billions will be spun out of NASA promises to affect companies of all sizes - even the smallest ones. As such, you'd think that NASA would be pulling out all the stops when it issues reports like this by engaging with national, state, and local-level chambers of commerce. There's no evidence of that either. Truth be known NASA has no idea what its business case is for all of the things to which it applies the word "commercial". How could they? All of the people managing these NASA programs are career civil servants - often engineers or astronauts - with absolutely zero real world experience running a company, looking for new business, and dealing with the risks that go with not finding enough work to pay people's salaries. If you want to have some fun, ask a senior NASA staffer - in a public setting - to define "commercialization" and "privatization" as they relate to space - and NASA. Word salad quickly ensues with one word used to define the other - and vice versa. You will regret having asked the question. ISS Program Manager Sam Scimemi has been a NASA employee for 30+ years yet he's the point man on commercializing ISS. He's talked about making the ISS compatible with disruptive innovation. You cannot prepare for disruptive economic forces. That is why they are called "disruptive". If you think you are preparing for disruptive factors, well, you're not. And surprise: they are sneaking up behind you where you are not looking. Scimemi also talks about bringing the entire U.S. economy up to the ISS. Huh? Often times when you listen to NASA talk about business and investment its as if that NASA speaker picked up a new buzz phrase from an article that they just read in an airline magazine. It is not important to actually support space commerce at NASA - only that you seem to be supporting it. There are very real business opportunities to be realized in space - low Earth orbit, cis-lunar space, Mars, and beyond. The real question is not whether NASA will be involved in any of this. NASA needs to get the right staff on board so as to allow the agency to understand the real difference between proclaiming that something is "commercial" and what it takes to set the stage and then stand back so as to allow actual commercial forces to actually begin to operate. Until NASA does this, then we're all going to hear nothing but confusing rhetoric every year at food fight (budget) time as NASA's commercial stuff is pitted against SLS - with the money for the food fight coming from one limited source: Congress. Meanwhile SpaceX is headed for Mars. Keith's note: NASA wants you to think that everything they do in low Earth orbit these days has some sort of business potential. Alas, while that may be true, NASA is the least likely place to go if you want to find out what they are actually doing. In fact, most of the people dealing with commerce at NASA have no idea what commerce is.\n\nLast week I saw an interesting tweet from @NASA_OSBP - NASA's Office of Small Business Programs saying \"#DYK Over 800 #small businesses are contributing to the dev. of the #SpaceLaunchSystem? #NASA #DreamSmallBiz #NSBW\" I replied via @NASAWatch \"Interesting @NASA_OSBP can you post that list of companies online? #SpaceLaunchSystem? #NASA \". A few hours later @NASA_OSBP replied @NASAWatch List is pg 61-71 of new the pub. \"SLS: A Case for Small Business\" just posted at http://www.osbp.nasa.gov/publications.html\". That link led me to the 74 page report \"NASA Space Launch System: A Case For Small Business\". \n\nThe report, published in 2016, is focused on things as they were in FY 2015. While the overall scope of the SLS program as it related to small businesses is discussed, only a few of those small businesses are profiled in any detailed fashion. There is a nice long list of the 800 or so small businesses associated with the SLS program at the end of the document. However, this is only a list in alphabetical order of the companies, their type, and who they subcontract with. Nothing is included about where the companies are located or what they do. Nor is there any sort of econometric information as to the value of each contract or the impact of these contracts on the local communities.\n\nThere is another report listed at the page link tweeted by @NASA_OSBP that looks to have been published in 2015 \"NASA Deep Space Human Exploration Spacecraft Orion: A Case for Small Business\". This report is structured in a nearly identical fashion to the SLS report complete with an alphabetical listing of all of the small businesses. But other than that there's little to explain how or why this is important to the business health of the national economy or to local communities. NASA just wants you to see that they are giving money to lots of small companies that you've never heard of.\n\nThere does not seem to be an intent to issue these two reports on an annual basis so as to allow people to understand how the program has adjusted to budgets, overall progress, and the addition or deletion of specific small businesses, or the current estimate of overall economic benefit to the communities where these small companies are located. Instead, NASA spends 6 months editing up and dumbing down last year's data, adding in some boilerplate PR, and then posts the document online. That's it. This page contains a single entry by Keith Cowing published on May 9, 2016 6:36 PM. Fixing Potholes: Preparing For Transition Teams at NASA HQ was the previous entry in this blog. Kepler Has Found 1,284 New Planets is the next entry in this blog.